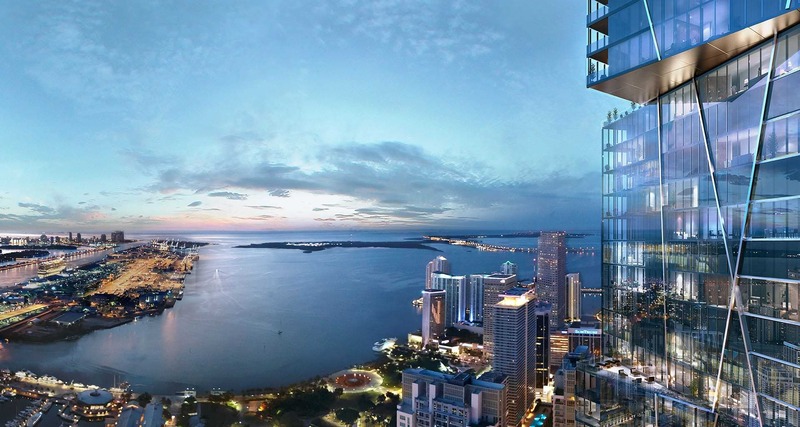 A website for 300 Biscayne has gone live, with a sales center under construction and opening soon. 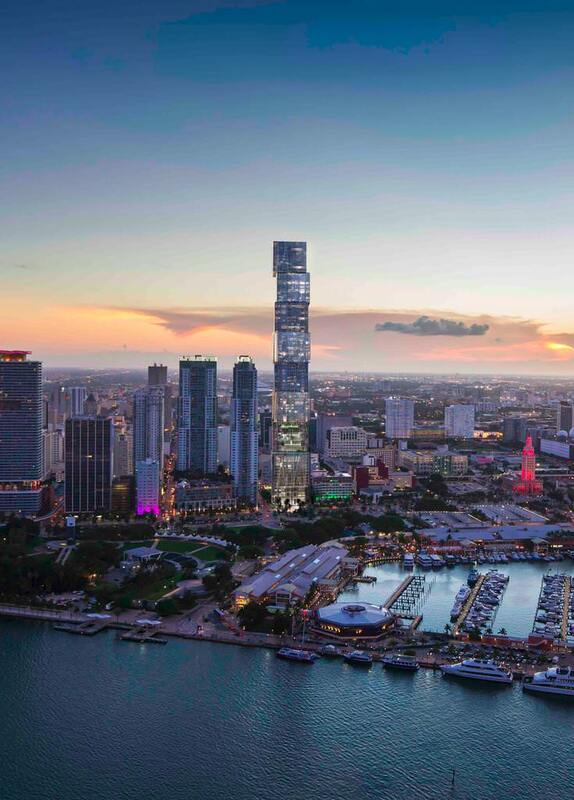 The project will be “Redefining Miami’s Skyline Soon,” the site promises. 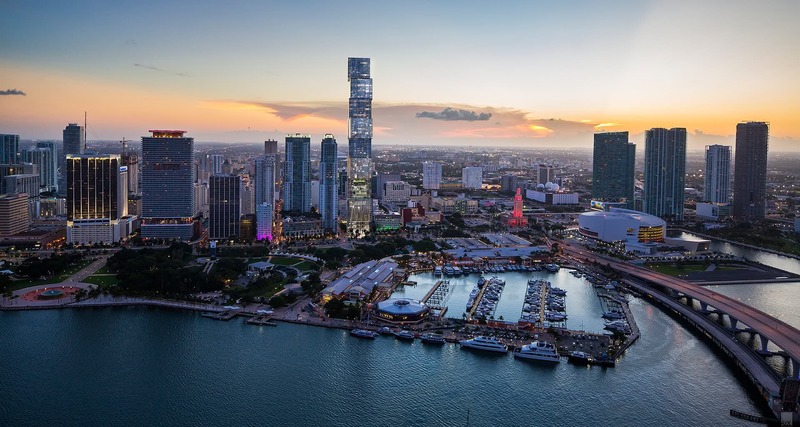 The tower will become Miami’s tallest at 1,041 feet above ground. The website is owned by developer PMG, a source within the company has confirmed. 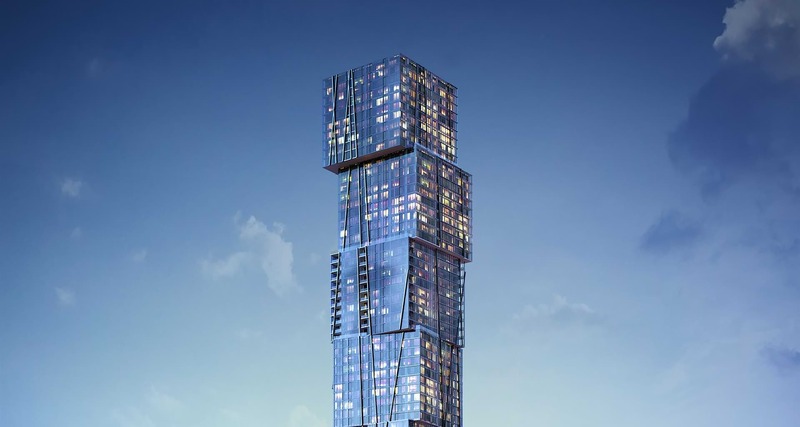 This will be third skyscraper in Miami that will be different than the rest. Aston Martin and 1000 Museum are the first two. There will be people who love it and people who will hate it, but in the end I am happy to see that some architects and developers are thinking outside the norm and daring to do something unique. Creating a skyline that defines the city. Like Singapore. Love the architecture. Unique, defining, and NOT like all of the others! Great design and will further place Miami on the architecture map. I don’t understand why some many people dislike the design. When i read the blog I notice that not many people have a background in architecture and obviously everyone is entitled to have an opinion and it is great to hear non professionals critique what we architects ‘believe’ to be experts on. But i assure you all, if you see this building within the NYC context, nobody would bash the design. I think this design is the first intent to do something extraordinary, different and out of ‘the Miami Bubble’ meaning that we repeatedly do the same architecture in Miami. To be fair I dislike the similar 432 Park ave and One Madison buildings as well. A knock-off of Herzog’s 56 Leonard. Cool design, totally overbuilt. Expensive rents. What MDC Student can afford to live here? Tuition is like $37 a semester after all the PELL Grants. Right, because it’s every college student’s right to have access to housing with million dollar views. Wasn’t the pitch this would serve the college rental community? Good luck renting with all the inventory being delivered. That’s the rental building that is behind this one, it is not the same building! Your thinking about the wrong building. Same company but what your referring to is across the street. The design very similar to the 2 WTC in New York City. I assume you mean the crappy BIG plan, as opposed to the original world class plan by Lord Foster. I hope whoever comes to sign as a tenant chooses the latter. why is that holiday inn still there! That’s also going to be a 1000’er. Great design. I love it!! Make it happen! 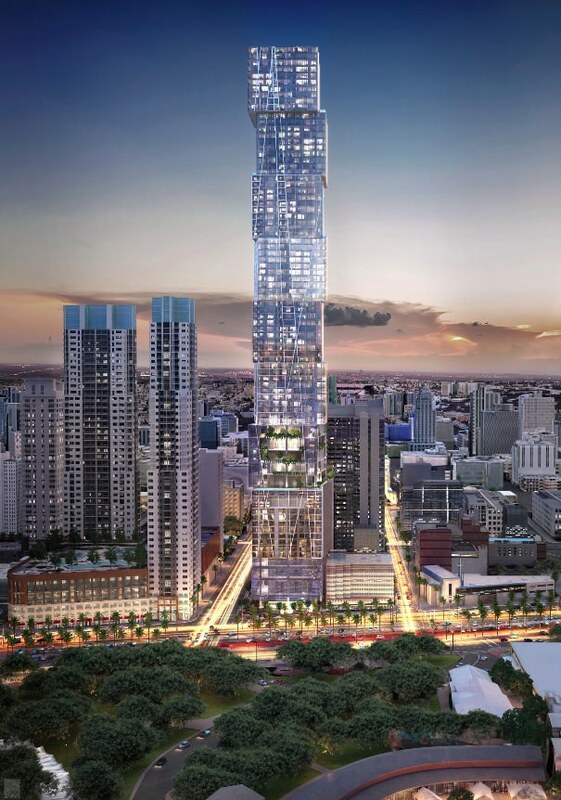 This city desperately needs all-glass towers. There are balconies, just not uniform. Balconies are the reason why the buildings in Miami all look the same. goodnto have balconies to protect create shadows and save energy….all thenold Florida homes had verandas and overhangs. Written like a true, out-of-touch, cocky New Yorker trying to develop in Miami. The units are being made with Nanawalls which open up completely from floor to ceiling which will allow the unit to be open to the elements without the drawbacks of a traditional balcony… which are… They take up precious square footage that is better served in livable space. At that high an altitude, wind gets much more significant and makes balcony use a bit more cumbersome. By incorporating full hight Nanawalls at these units, they will be brighter and feel more open in both the open and closed position while still allowing the beaufitul Florida weather in. I wonder who the structural engineer is? Someone with it out for the contractors. This is gonna be a nightmare to build with all thoses floors kicked out 800’ in the air. They are just going to stack shipping containers. The new hot design trend. Oh well what the heck, if this is the first 1000 plus footer we finally get to see downtown, I can’t complain. Wonder if we will be getting a Shangri La hotel? Suddenly a bit too tall. Very happy to see Miami stepping up and staying away from white stucco walls! I personally dislike the design. I do think it is ugly, however, I can see some people will like it and some people will hate it. I like 1000 Museum design, more elegant. STFU Miami shyline is the next Manhattan, love the design, love Miami. Beautiful City. The trusses make all the difference, otherwise it’s a poor man’s single version of the City of Capitals in Moscow. Your lack of creativity and imagination is astounding. The plans for Downtown are to surpass all the surrounding Miami Dade area in 10 years. The future is near, don’t be stuck in the past.